When we think about what is needed to be successful in life, we usually think about characteristics like talent, ambition, intellect, discipline, and persistence, but there's one factor that will be a deciding factor in taking a particular path in career: Passion. We are all enthusiastic and passionate about something or the other in life - that enthusiasm is very powerful. Why is it so important? 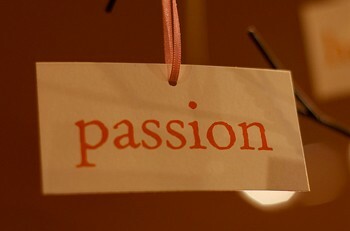 How to be passionate? Obstacles are a part and parcel of everyone's life, passion for your field will only help you overcome those obstacles, which otherwise might be difficult to overcome. Also, the more enthusiasm we have, the more work will be done to improve ourselves. Being passionate about a field not only helps you make a career out of it, but also gives you self contentment, which is most important in life. If you want to be passionate, explore your passion and take care of yourself. Follow your heart to explore your passion and draw your experiences of life. Figure out who loves you and find out what you are good at. If you're sure about your skills and talent, you will reach your destination. How many of you are following your heart? How many of you are passionate about the work that is paying you today? Most people pursue the degree they are currently pursuing due to pressure from parents. It takes a lot of courage to follow your heart- We all have our own goal, our own target, that desire to reach further ahead. It is important-rather necessary- that we follow our passions. Look at that neurosurgeon who performs brain surgeries and saves lives, not because it is his job, but because being a neurosurgeon is what he wanted to be. Look at the teacher who teaches 5 year old kids, because she knows she connects well to kids, and she knows she can make a positive impact on them. Look at that cobbler across the street, who polishes your shoes like as if they'd be adorning some feet on a red carpet everyday. Look at a housewife who cooks delicacies for her family and takes care of them with her heart and soul, simply because that's what she loves to do -- These are the people who turn lives around, these are the people who are happy in their lives, and these are the people whom people look up to for inspiration. When you do something that you are passionate about, your actions might be silent, but success will surely make some noise!